April is a big month for many Irish dance organizations. The World Irish Dance Competition in Boston for An Coimisuin dancers, and the World and European Irish dance competition in Germany for WIDA are both held in April. Good luck to all of you ladies and gents working so hard. How do you make certain that you are ready to perform? You practice your Irish dance steps over, and over until you think you've got it just right. But how do you feel when you hit the stage? Chances are, if you've performed, you've had days when you fly across the stage, and others when you can't seem to get your feet to obey you. Much of your success onstage will depend on what level of performance you are at. How to get past this step? Practice, practice, practice until your dance becomes engrained into your muscles and you no longer have to think about what your body is doing. You are worried about what you look like to others. Are my feet turned out? Does my dress flatter my figure? How do I look when I leap? How to get past this step? Perform your dance for anyone who will pay attention--your mom, your dog, onlookers in the grocery store. Prepare your costume, makeup and hair beforehand so that you feel confident. Now you are ready. Your steps are a natural extension of your feet, and you can turn inward and give the full expression of emotion and drama to your audience. This is the time to shine. Have you ever experienced the third level of performance? How did you get there? A new WIDA feis in the western United States is accepting registrations for May 18, 2013. It is open to all platforms. For more information click here. 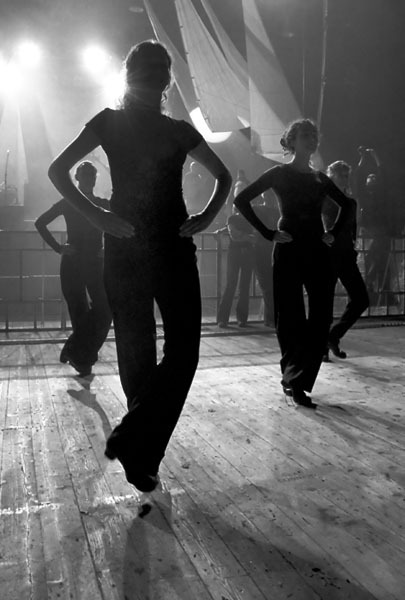 Readers: Are you an adult Irish dancer or a dance school, competitive or not, with a story to share? Would you like to inspire others to feel your passion for Irish dancing and culture? Do you have a question about Irish dancing? Please visit www.christydorrity.com.